For some time we have tried to link our local Mullings family – the basket makers – with other Mullings in the south of England. A lead in this task comes with a postcard of Australian troops in Market Lavington in 1916 – 100 years ago. It has to be said that the soldiers look a bit ragged in style. They are not marching in step. In fact they have seen the photographer (Mr Burgess) and are stopped and posing – all except the head tossing white horse at the back. On the extreme right we see Mr Elisha’s tailoring shop. A young Elisha has the family dog jumping up at her. A close look reveals people in many doorways. Maybe it is Mr and Mrs Phillips at the former hardware shop. A sign on the arched entrance to what we now call Woodland Yard advertises a car for hire near the Market House. 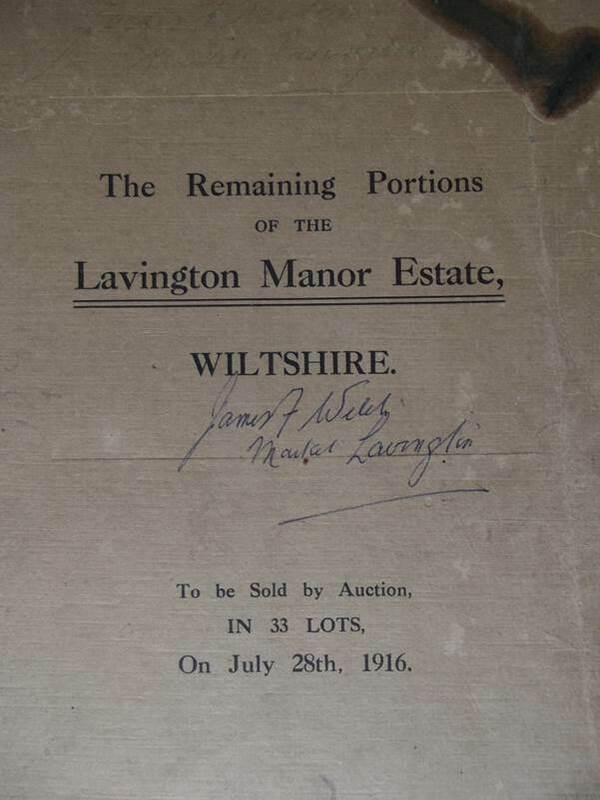 It’s a fascinating glimpse of times 100 years ago in Market Lavington. But the back has a story to tell as well. First of all, as often happened, a stamp collector has removed the stamp and with it the post mark. But the recipient is clearly Mrs Mullings with an address in Kentish Town, London and the salutation is Dear Emily. 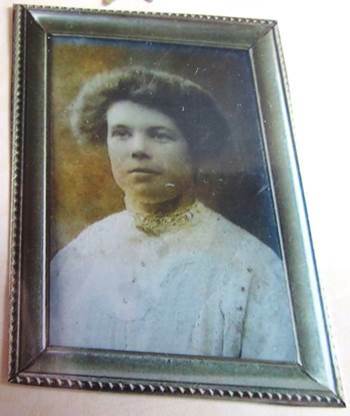 Emily Mullings was born in 1872 as Emily Ford. She was born in Easterton where her dad was an agricultural labourer. In 1895 she married Henry Mullings. Henry was a dozen or so years older than Emily. He had been born in Devizes but by 1891 he and his parents were on High Street in Market Lavington. His father, William, was a basket maker. So we can happily link our basket makers with this family. It is clearly from Ada who sounds to have a daughter called Doris. This was sent by Ada Hopkins who was actually Henry Mullings’s sister. She did, indeed, have a daughter called Doris. Tractors: Market Lavington leads the way. Today we are looking at an article published in the Wiltshire Gazette and Herald on April 19th 1973. But it is about an event which took place in 1916 – the first use of a tractor in South West England. The tractor was being trialled by T H White and Co, originally a Market Lavington company and the 1973 article was to mark the company moving into newer premises in Devizes. Back in 1916, a tractor was clearly worthy of a photo and here is the photo, as published in 1973. We are reminded, of course, of how much newspaper technology has moved on in the last 40 years. But the caption is clear to read. The article was written by T J Witchell who was an apprentice with T H Whites back in 1916. 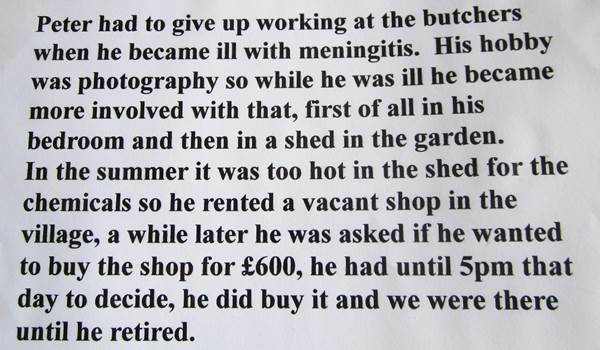 It’s well worth a read. 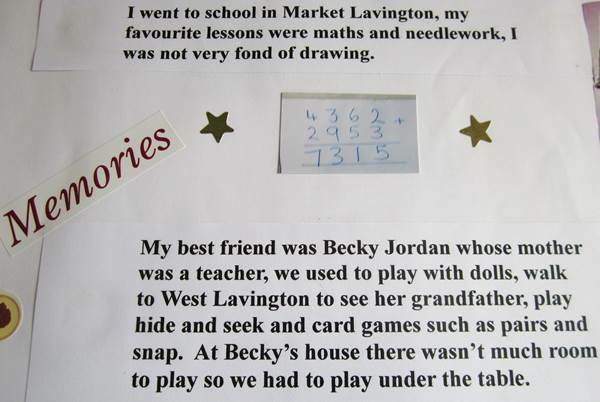 Of course, the Market Lavington interest is that Mr Watts was the farmer at Church Farm. Does this mean Knapp Farm? 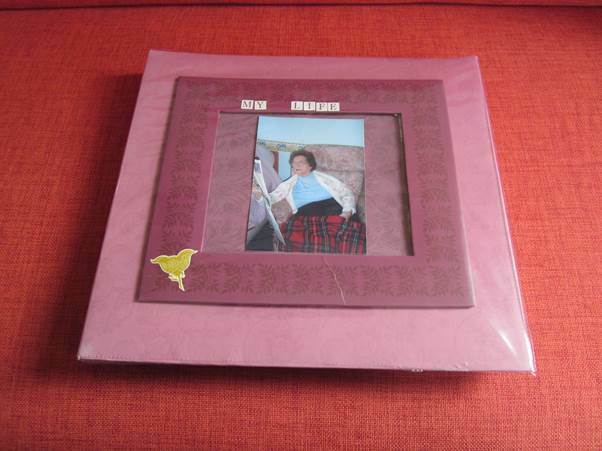 Now we’d love a real copy of that photo. Has anybody got one they could let us copy? 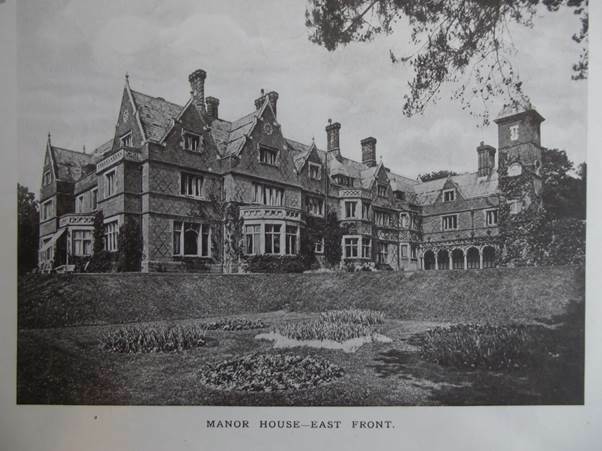 Sale catalogues can be very interesting items and this one, complete with well reproduced photographs certainly is. The bulk of the estate had been sold off following the death of Charles Awdry. James Welch, the father of the man whose war diaries and letters can be seen here acquired and kept the auction catalogue for the remainder of the estate. This was sold off in 33 lots on July 28th 1916. 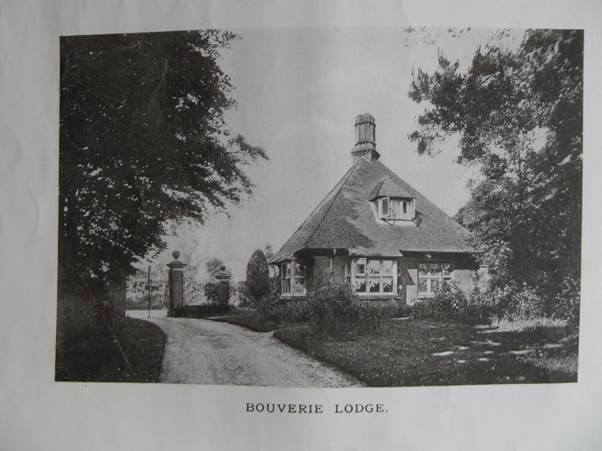 Bouverie Lodge, now happily rebuilt after the awful fire there. 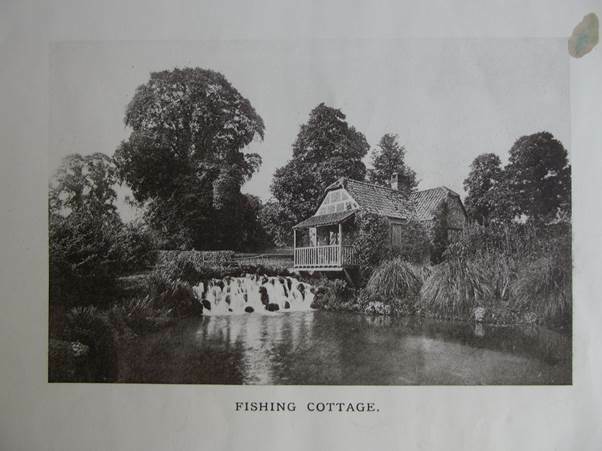 The Fishing Cottage which also still exists. The cricket pavilion which stood where the houses of Pavilion Gardens have been built. 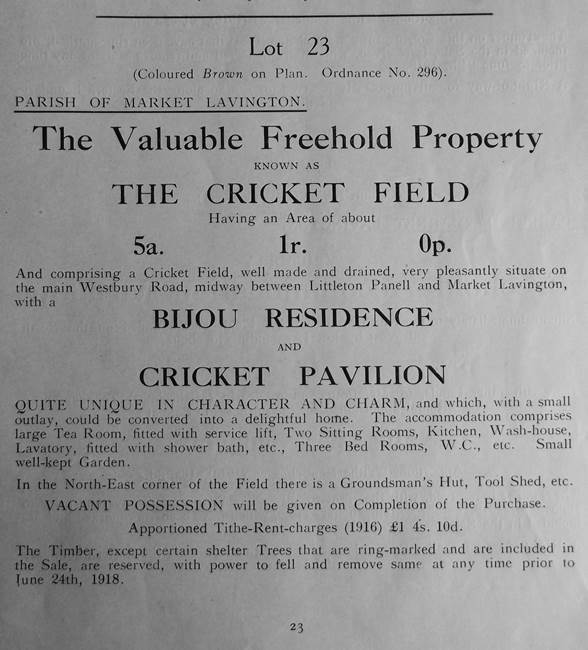 Let’s take a look at a description of lot 23 which included the pavilion. 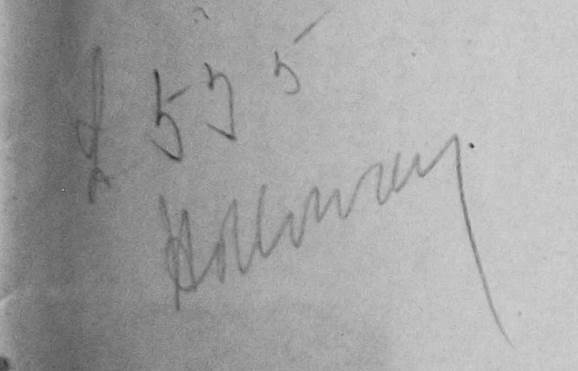 James Welch, we guess, was at the sale and recorded price and buyer. So we think the ground and pavilion were purchased by Mr Holloway for £535 (or maybe £555). Lavington School now occupies part of the former cricket field. 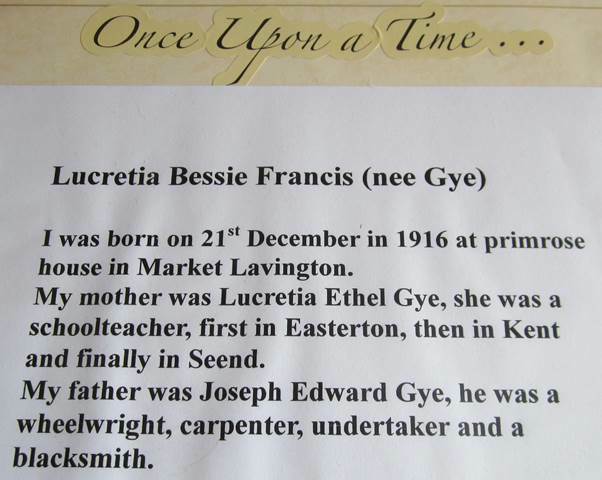 Bessie was a Market Lavington girl. Like many an older person she ended her days in care and this book was produced for her at that time. It’s a lovely, simple reminder of a life well spent. 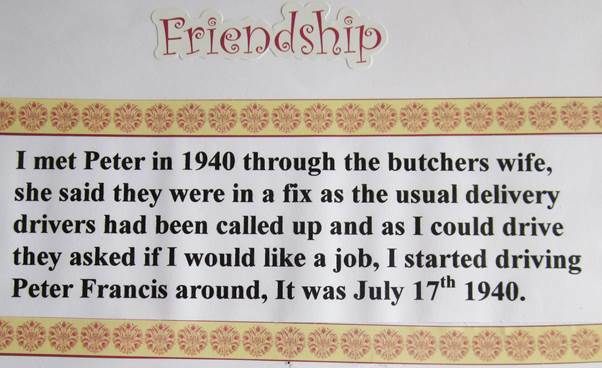 And now we have extracts from Bessie’s story. As we move towards 2014, and that centenary of the start of the First World War, this is a reminder that we shall be devoting display space to that war. We still seek personal stories and any other memorabilia that people might have. Today, in particular, we are calling our friends in Australia. 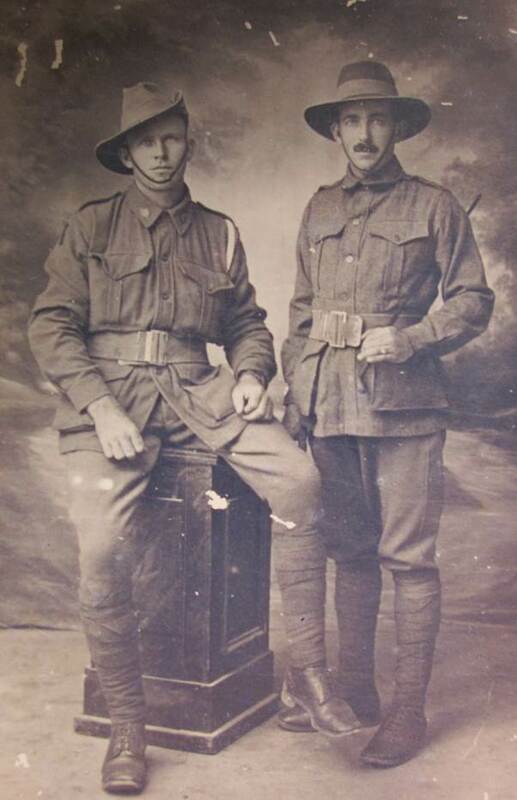 We have shown a photo of Australians marching through Market Lavington (click here) but here we look at two Australians who had a portrait taken, no doubt to send home to their loved ones. These two chaps are, on the left, Charles Alexander McKewan and on the right Alf McAfee – or so it says on the back. The photo is dated September 12th 1916. Sadly we know nothing further of these two men or of the many other Australians who spent training time in our village. 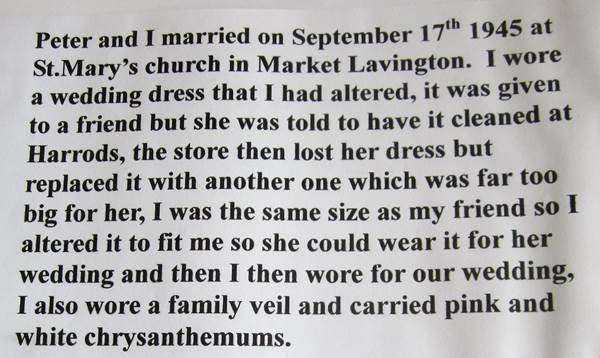 Can anyone out there tell us anything of their Ozzie ancestors in Market Lavington? One of the good things about writing a blog is that you get a chance to see what search engine terms bring people to your writing. Yesterday, for example, someone was searching for Ann Neate. I’m afraid we have no records of such a person. 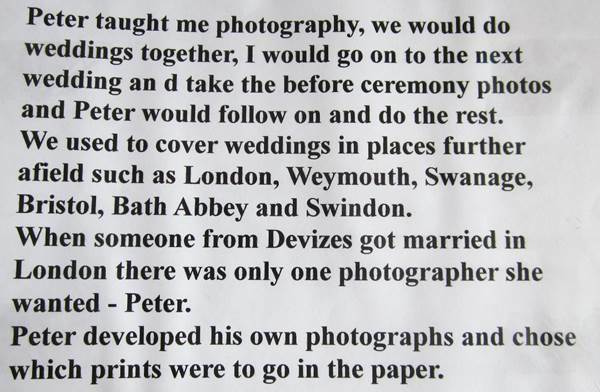 Maybe the Ann Neate searcher might like to get in touch and tell us more. We can respond to searches. 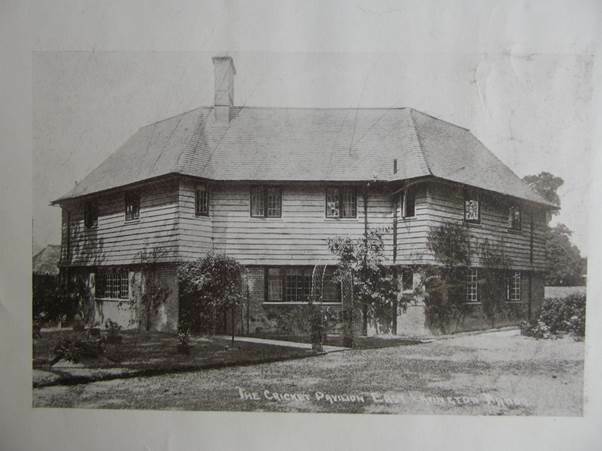 Again, yesterday someone was looking for a history of nursing in Market Lavington and this blog post has a connection to that. What we are looking at today is a rather unprepossessing note book. 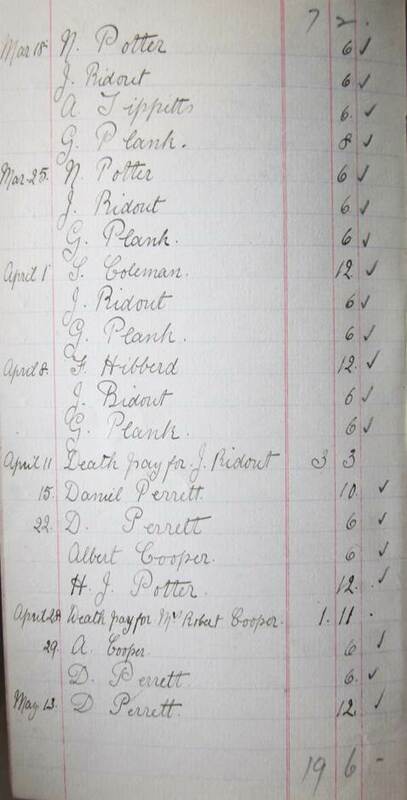 This is an account book for the Wiltshire Friendly Society of Oddfellows. 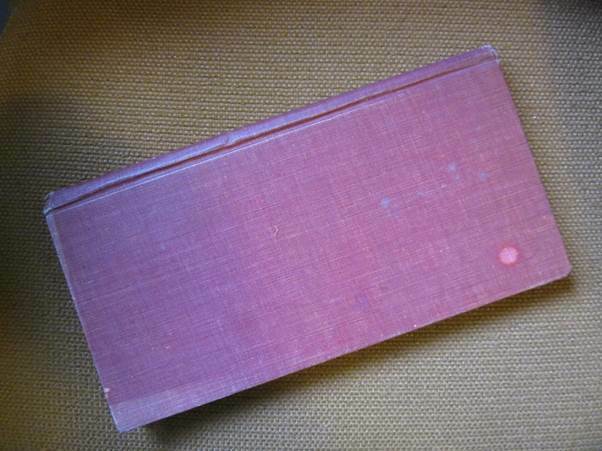 The book belonged to Alf Burbidge who was probably the treasurer. 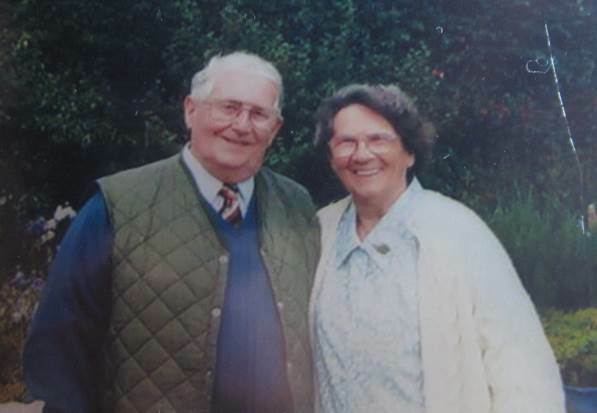 Alf and his wife Louisa lived in our museum building and raised their two daughters there. Not surprisingly, we feel rather attached to things that belonged to the family. 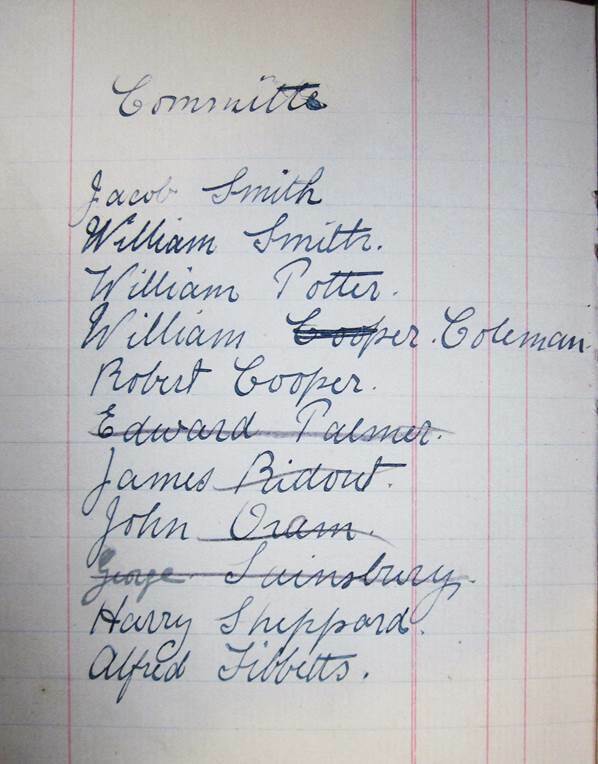 One page lists committee members. It is undated but we believe it is from around 1916. Although this was called a Wiltshire society, Jacob Smith was a Market Lavington man (and someone looked at the page about him yesterday). 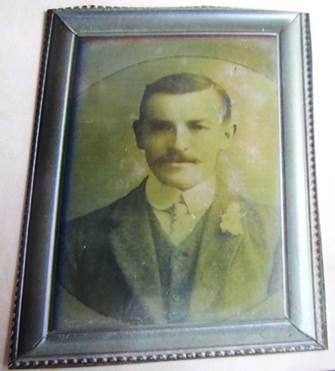 William Smith may well have been from Market Lavington but it is a very common name. There were a couple of William Potters in Market Lavington but we’d be pretty certain that William Coleman was a local man, born in Easterton and living in Market Lavington. He served as Town Crier as well as being a boot maker and chimney sweep. We think Robert Cooper was a foreman at the brick works in market Lavington. This committee certainly had a strong Market Lavington presence. Members seemed to take it in turns to visit the sick. 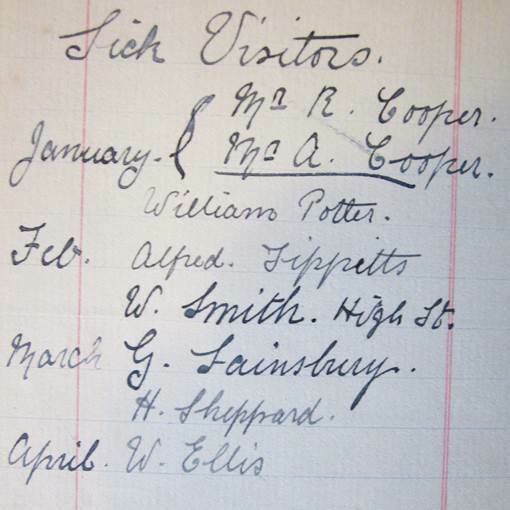 These were sick visitors for the start of 1916. It looks as though this friendly society did some of the caring for those who had health problems. If we pick on James Ridout, it looks as though he may have become in need of assistance (again) in the March of 1916. Sadly he died in the April and his family received a payout. 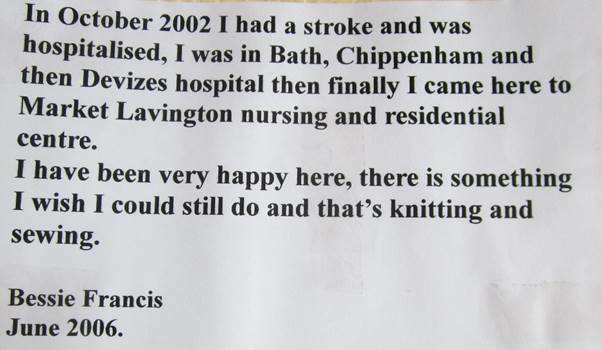 This, of course, was care in the form of cash rather than actual nursing help, but hopefully during March and April he was visited by Messrs Sainsbury, Sheppard and Ellis. Nursing care at this time was very much a charitable business for there was no National health Service until 1948. But maybe these members of a friendly society got help from one another.